I packed this travel sized Mineralizing Thermal Water spray with me when I recently travelled to California. Let’s face it, it is pretty dry on the airplane. 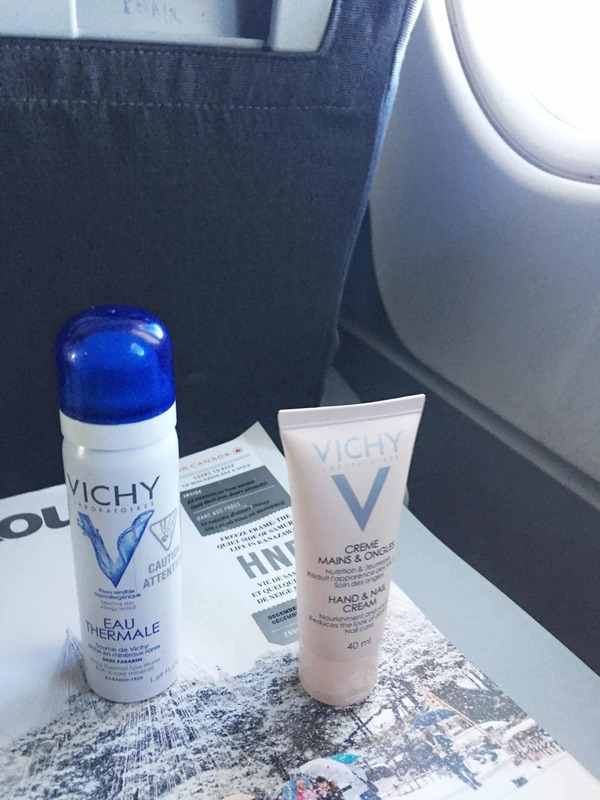 Spraying this thermal water on my face during the flight was so refreshing, even my husband used it. I also like using this thermal water spray after I apply my makeup and anytime during the day when I feel I need a pick me up. This is for all women & men looking to reduce redness and soothe irritations and discomfort, while improving the quality of skin and reinforcing the skin’s natural defences against external factors and premature aging. Now that the cold, dry winter months are upon us I think I will be using this more often. 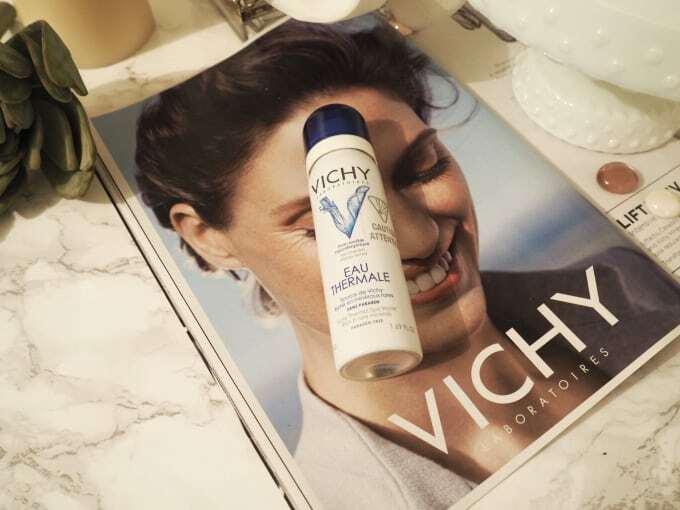 The Vichy Mineralizing Thermal Water helps restore and preserve a steady pH. It also accelerates the regeneration of our skin, bringing the healthy glow of new cells to the surface quicker. My skin thanks me every time I use this. Do you use any facial sprays?